Thank you for your interest in NevilleD. If you are interested in hosting an event in your area please give us your information in the fields below and someone from Team NevilleD will be in contact with you. Please fill out as much of the information below so we can best serve you. Please SelectFull ConcertConferenceFestivalChurch ServiceMedia Related Please tell us what type of Event you want to Book NevilleD for? 1. Submission of this booking form does not constitute or warrant a confirmed booking for NEVILLE D to perform at your event. 2. 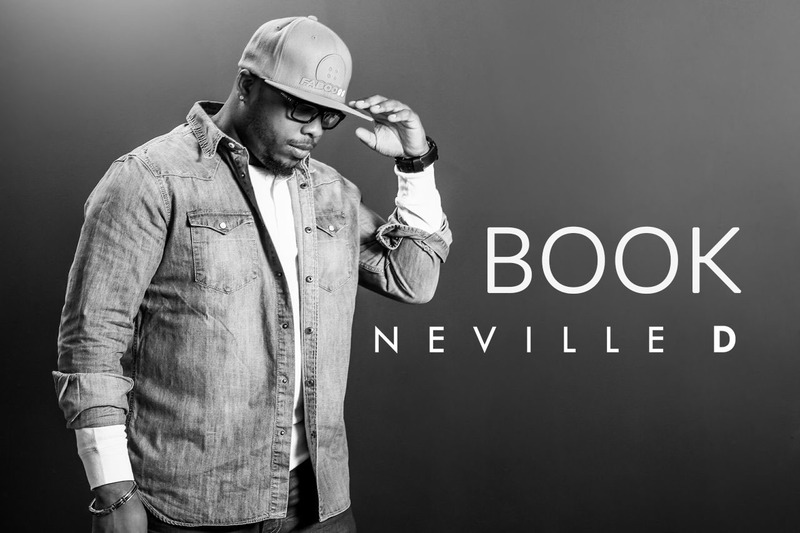 Submission of this booking form does not automatically grant permission to use NEVILLE D’s name, music, artwork, images, youtube videos, biographical material and more for promotion and advertising of your event. 3. The usage of NEVILLE D’s name, music, artwork, images (pictures) and youtube videos to promote your event on social media platforms, television/radio, flyers, posters or tickets without the written concent of NEVILLE D is an infringement of his Copyright wich is protected in terms of the South African Copyright Act No. 98 of 1978 4. By submitting this booking form you agree to all the terms and conditions mentioned above. I Agree You have to click accept before you can submit this Booking form.